On my recent visit to see my daughter and her family, I was trying to come up with desserts that aren’t loaded with sugar. 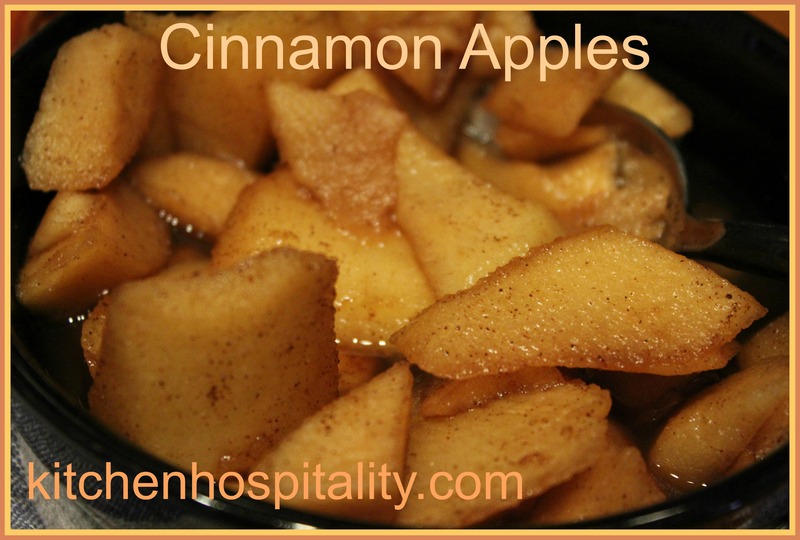 My friend over at PattyCakesPantry.com suggested apples and cinnamon cooked on the stove. I thought I’d give them a try in the slow cooker. Now I know a lot of you who work all day are interested in all-day meals cooked in the slow cooker. I can totally understand and will be publishing more recipes for you to cook six hours or more. However, there are some dessert recipes that are easy and pretty quick to make in a slow-cooking appliance. These are great to make during dinner or on the weekends when you do your grocery shopping. Apple pie is not necessarily my Number One pie on the list to make, but I do like apples. I like to eat an apple all by itself, dipped in caramel sauce, and with peanut butter on it (a habit I learned from my mother – hey, it’s got protein!). However, I hadn’t cooked apples in cinnamon on the stove. I figured that apples should be fairly easy to make in the slow cooker. They were amazing! For someone like me who doesn’t really care for apple pie, I was impressed. One thing I forgot, though, is my friend had said since the apples are sweet, you don’t need to add sugar. I added the sugar without thinking. Habit. A sweet habit. A habit that tastes good. It was good. So good that I can’t stop blogging about it. 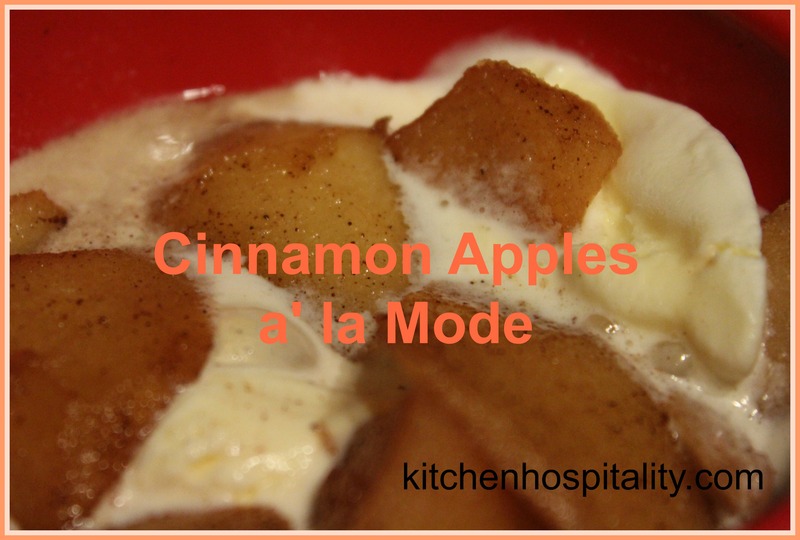 When my daughter walked in the kitchen after I had made the cinnamon apples, I asked her if she wanted to try them. Like me, I discovered she doesn’t care for apple pie either – except the ones from McDonald’s. Like Mother, like daughter. Train them up in the way you want them to go. Right? LOL! What made the apples really delicious was the ice cream. Oh, yeah! Blue Bell at that. Blue Bell Homemade Vanilla. They don’t have any in the state you live in? Next time you go to Texas, be sure to try it. You won’t forget it. You’ll go back home to eat the plain ol’ vanilla you always had before and wish you were back in Texas with the Blue Bell. Put all the ingredients into the slow cooker and cover. Turn the slow cooker on high, and cook for one hour. Did you thicken the liquid in the pot or did it reduce on its own? I didn’t thicken the liquid.